You probably don’t know what half of these ingredients are. And some of them don’t even sound like food, I mean does “sodium aluminum phosphate” sound appealing to you? I didn’t think so. Here’s a simple & healthy go-to cookie recipe that uses ingredients that you actually know. add ins: cacao nibs (or vegan chocolate chips), pecans, almonds .. etc. -In a bowl mash banana with potato masher until lumps are minimal. -Then add in peanut butter and mix it into the banana until evenly distributed. -Blend half of the oats into a blender to create an oat flour, and then pour it into the mix. -Add in the other half of the whole (unblended oats). -Add in topping and mix well. -Oil hands and cookie sheet with coconut oil. -Take a little over a tbsp of the mixture and mold it into a cookie shape and place it on the greased sheets. -*Repeat until you run out. -Bake cookies for 12 minutes. -Let cookies cool for 2 minutes & eat. These cookies are great with a cup of homemade almond milk. With love, peace Kings & Queens. Stay nourished. Leading a healthy lifestyle DOES NOT mean you have to eat boring bland foods. No, absolutely not. Living a healthy lifestyle is all about eating foods that nourish your body. 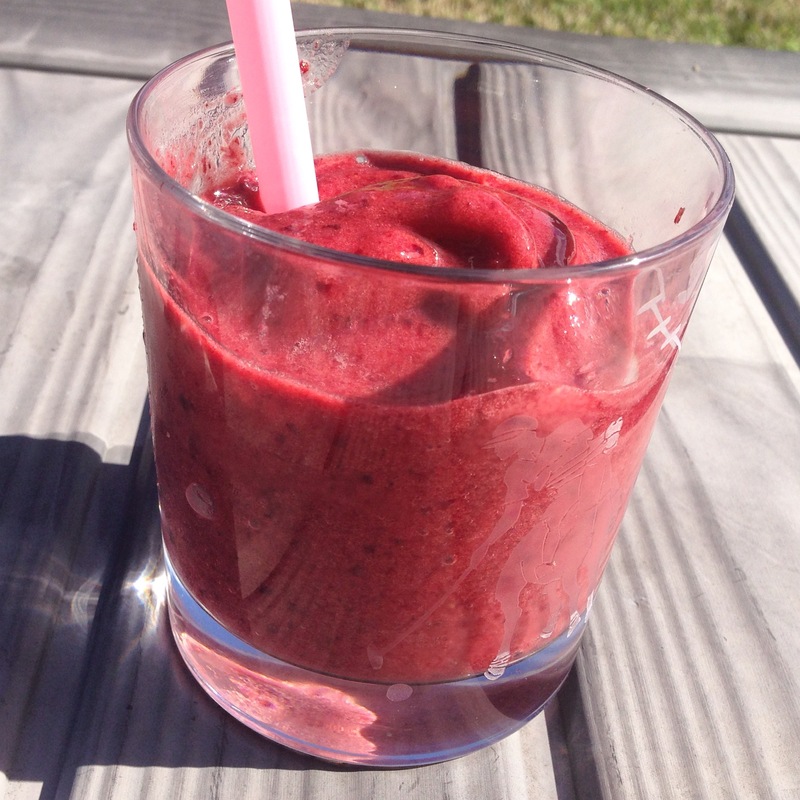 Now, I have to say, the smoothie you see in the picture above is undoubtedly the best smoothie I’ve ever made. No refined sugars, no syrup … just pure whole food deliciousness. Take notes friends. Blend above ingredients into blender until smooth. Then serve & eat. Peace King & Queens. Stay healthy.